Last time around, we looked at how FotoFest launched itself. They assumed they would be a major operation right from the start, and acted accordingly. Now I want to look at how the organization is run, starting with the financials. Non-profits must file a form 990 with the IRS each year. This form contains within it most of the information one might find in an income statement and balance sheet issued by a publicly-traded corporation, but not in the same format. If you want to see it in that format, you can pay GuideStar (sort of the non-profit equivalent of Edgar). If you don't want to pay, you can download the 990s from GuideStar and still get a rich collection of data. The most recent 990 for FotoFest was for the period from May 1, 2008 through April 30, 2009. Their revenues for that period were $786,323, with expenses of $865,375, so that year they ran a deficit. This period started just after the 2008 FotoFest (March 7 to April 20, 2008), so I think we saw a kind of weird financial situation. I'm guessing that a lot of the bills for the 2008 FotoFest came due after May 1, 2008--and thus were registered in that tax year. But I bet most of the revenue associated with FotoFest 2008 came before May 1! Before we dive in deeper, I want to compare FotoFest to a few other arts organizations in town that are registered nonprofits (and thus produce 990s). On the tiny end, Box 13 had total revenues of $62,161 in 2009. Because their revenues were less than $500,000, they were able to use form 990-EZ, which is too bad (for me) because it lacks a lot of detail. Their assets were $5440--they don't own that cool building they are in. FotoFest is similar--they are renters, not owners. Their net assets were $456,824, and they consisted mainly of office equipment and photos that they own (and sometimes deaccession to raise money). The Art League, on the other hand, owns a beautiful new building, making them asset rich ($1,182,820 as of May 31, 2009) but weirdly enough, revenue-poor ($262,182). The ran a relatively large deficit that year ($137,840)--they could probably use some contributions, people! (Or at least stop by and drink some coffee at Inversion.) The CAMH has one big fat asset, its building. Its net assets as of June 30, 2008 were $7,424,659, with revenue of $2,662,376 and a deficit of $332,911. Diverseworks is, in size, closest to FotoFest: assets as of August 1, 2008 were $459,910 (they are evidently renters), revenue was $780,652 and that year they ended up with a $67,830 surplus. All the above visual art organizations, including FotoFest, are involved in displaying art as well as other artistic endeavors (art classes, art studios, etc.). None of them are art-collecting institutions. The MFAH is, and that is reflected in the value of their assets as of June 30, 2008: $1,146,624,730! (Their many buildings also add a lot to this total.) Their revenue that year was $52 million, and they ran a $6 million surplus. So, back to FotoFest. I mentioned that revenue and expenses are likely to be "lumpy" because their big event happens every two years. The 2009 return didn't include a FotoFest and had revenues of $783 thousand. But the 2008 revenue was $1,590,893--more than twice as much. When FotoFest comes around, people open their wallets. Who is opening her wallet? Let's look at 2008, since it was a high revenue year. Of that $1.59 million, $1.43 million came in the form of "gifts, grants and contributions received." Form 990 includes a schedule of contributors. These are only contributors who contributed at least $5000 or 2% of the total contributions, whichever is higher. In FotoFest's case, they are only required to show contributions equal or greater than $31,817 (in 2008--the totals were much lower in 2007 and 2009). They only had five contributors who met that minimum in 2008--well-known foundations like The Brown Foundation ($105,000), the Cullen Foundation ($150,000) and the Houston Endowment ($150,000). It's worth noticing that the Houston Arts Alliance gave $55,900. They are a 501 (3)(c) funded by the city--specifically by the hotel occupancy tax. If we look at 2009, we can start to see some of the deep-pocketed individuals (as opposed to foundations) who contributed to FotoFest. They did a Form 990 EZ in 2009, which meant they were required to list every donor who gave $5000 or more. The big foundations gave a lot less that year. On one hand, it may be that FotoFest asked for less (it being an "off-year"), but we must also consider that the foundations' endowments took huge hits that year. The foundations are still the major donors, but six individuals or married couples gave more than $5000 that year. How much of the contributions are from the deep pocket people? In 2009, they received $763,815 in contributions. Of that, $403,050 came from foundations and individuals contributing more than $5000. So the proletariat contributed $360,765. When you stuffed a dollar into the donations box, you did your part. One thing you notice when you look at these tax forms is that FotoFest spends all the money they get. And why not? They aren't a corporation--they are not going to pay out dividends. They ask for the money they need. Sometimes they get a little more than that, sometimes a little less. The foundations look closely at their books and operation. They have workshops and portfolio reviews (the Meeting Place) for which they charge photographers to attend. The portfolio reviewers include museum curators, publishers, gallery owners, editors, directors of non-profit organizations and photo agencies--so for photographers, this isn't just a place to get feedback. Serious professional connections can be made at The Meeting Place--not to mention sales. There are potential tangible benefits, and that attracts serious photographers from all over. This is an aspect of FotoFest that is largely invisible to the public, though. Another revenue generator is the catalog(s) they publish for each festival. This year, there were two volumes (I think that's how it has been for recent festivals). One is for the official FotoFest exhibits and one for the participating spaces, and they cost $35 if you buy them through the FotoFest website. These are large, beautifully designed books with a stunning variety of photographs in them. What does all this revenue pay for? I think anyone who has been to the biennial can see that it is a complex and probably expensive event. Form 990 breaks it down somewhat. In 2007 (which included the 2008 biennial). Salaries and wages cost $156,206 (six salaried employees plus two contract workers--they depend a lot on volunteers and short term contract workers during the biennial. They spent $111 thousand on contract labor, and $159 thousand on professional fees--which presumably include the professionals brought in for the Meeting Place). Legal fees were $36 thousand, as was shipping and postage (presumably shipping the artwork accounts for most of that). Printing and publication was $170 thousand--catalogs, which as I mentioned are large and luxurous, as well as mailers and brochures. Travel soaked up $323 thousand. This seems crazy, but I suspect it includes the hotel rooms they purchase for the show, which Watriss said accounts for $200 thousand in hotel rooms for the Doubletree and Lancaster hotels. 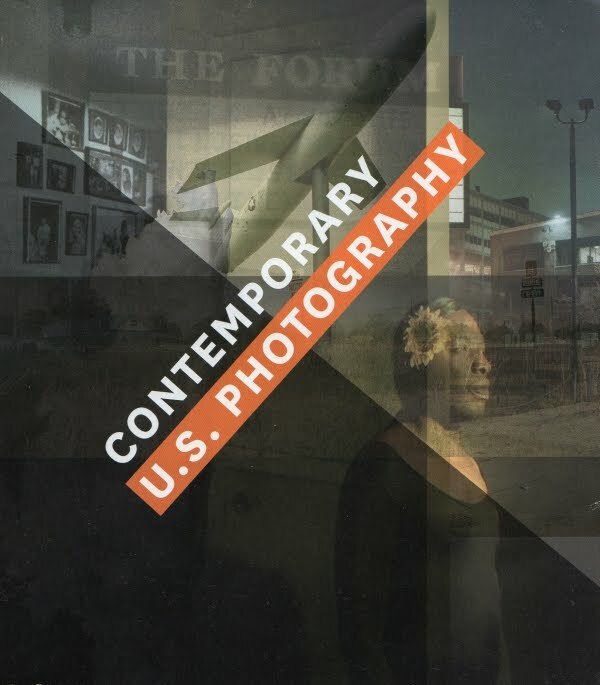 Because fo the complexity of the Biennial, FotoFest ends up adding a whole additional section, "Statement 2," to the expenses section of Form 990. So they know what things cost, what their budget is each year, and what to ask for from the foundations. Does it always work? No, because sources of income aren't always dependable. "We had Kodak as our sponsor in 1992 with a contribution of $500,000," Baldwin explained. Remember the largest contribution in 07-08 was $150,000. "Then in '94, we got zero from Kodak because they fired their CEO [Kay Whitmore], the guy who was funding us. And that created a major crisis for us. It took us two years to dig out of that hole." "After '92, we downsized by 45 to 50% in staff and operating costs," Watriss added. "We came out of that stronger than ever," Baldwin said. "The fact that we went through it and survived added to our reputation." I thought I'd be able to handle this in two entries, but I think I'll need a third. I want to briefly discuss the participating spaces and a few other odds and ends.